On March 7, 2019, the U.S. Department of Labor (DOL) issued its new proposed overtime rule, proposing revisions to, among other things, the salary threshold for “white collar” exemptions under the FLSA. The white-collar exemptions include the administrative, executive, and professional exemptions. A significant percentage of supervisors and management fall within one of these exemptions. If you work in human resources or management, you likely recall when the DOL under the Obama administration issued a new rule increasing the salary threshold for white-collar exemptions by more than 100%. In 2016, many employers invested heavily in ensuring they would be in compliance when the new rule took effect. This included changing not only salaries, but also bonuses, incentive pay, and job descriptions. Then, just as the rule was set to go into effect, a federal district court in Texas entered an injunction preventing enforcement of the rule. Employers were left in limbo as that decision was appealed. While there was swift backlash to the Obama administration’s 2016 rule because of the amount of the proposed increase, there was a general consensus that it was time to raise the salary threshold level of $455 per week ($23,660 annually), which was set in 2004. Now, under President Trump’s administration, the DOL has again proposed a rule raising the salary threshold for the white-collar exemptions. This time, the DOL seeks to raise the salary threshold to $679 per week ($35,308 annually), a 49% increase. The proposed rule would also raise the salary threshold for employees who are classified as “highly compensated employees” under the FLSA from $100,000 to $147,414 per year, a 47% increase. The proposed rule does not suggest any changes to the duties test for the white-collar exemptions, and unlike the DOL’s 2016 rule, the proposed rule does not include any subsequent automatic increases to the salary threshold. The DOL estimates that this proposal will affect approximately 1 million American workers, while the 2016 rule would have affected as many as 4.2 million American workers. The proposed rule would also allow employers to use nondiscretionary bonuses, incentive payments, and commissions that are paid annually or more frequently to satisfy up to 10 percent of the salary level. The 2016 rule would have allowed these types of payments to satisfy up to 10 percent of the salary level, if the payments were made quarterly or more frequently. However, since the 2016 rule was enjoined, this provision never went into effect. The DOL’s proposed rule understandably may cause some anxiety for those of you who remember trying to prepare for the 2016 rule. However, at this time, the proposed rule is just that – proposed. The public comment period for the proposed rule ends on May 6, 2019. If the rule remains unchanged and becomes final, it is expected to go into effect in January 2020. 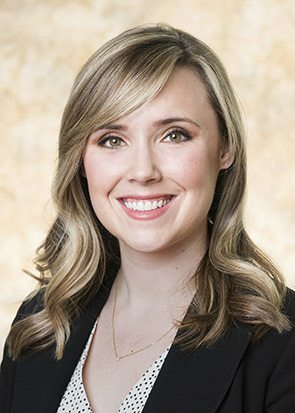 Download the burr alert, “Burr Alert: Here We Go Again – The DOL Has Proposed an Increase to the Salary Threshold for FLSA White Collar Exemptions” written by Meghan N. Cox.